Play to Win 5,000 Box Tops! Go to the BoxTops webite and play up to 5 times a day for a chance to win 5,000 Box Tops for Davis Hill! Fun and Easy!! Box Tops for Education is a wonderful program where parents clip box tops from many of their everyday products and food and send them in for the PTA to redeem for money. 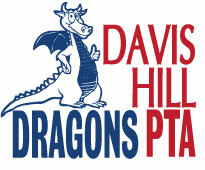 Since 2002, Davis Hill has earned over $11,000! Did you know you can go to the Box Tops for Education website and shop online through their Marketplace? Online vendors like Walmart, Target, Justice, Barnes and Noble, just to name a few, offer free shipping, coupons for 40% off and other benefits to you, our parent and still earn free money for Davis Hill! If you don’t want to clip Box Tops, please go to their Marketplace: http://www.boxtops4education.com/earn/marketplace/Default.aspx to see the great online specials and coupons! It’s never been easier to raise funds for our school!